Your single source provider for expendable and returnable packaging solutions. Since 1989, Barber Packaging Company has been evolving to meet our customer’s needs. Through experience, the latest technology, engineering and production capability BPC is equipped to manage your packaging program in the most cost effective, timely and environmentally responsible way. Contact our office and let one of our experienced staff help with your packaging needs. At Barber Packaging Company, we have earned the reputation for getting the job done whatever it takes. Our unwavering commitment to customer service coupled with our broad range of capabilities and material mediums has set us apart from the crowd. Whether your application calls for XLPE, Corrugated, Build up block, EPS, PE, EPP, BPE, Polyurethane, HDPE or any of our other standard materials we are sure to deliver the best value in the industry. Our core competency since 1989. Today BPC continues to be a leader in the fabricated foam industry. BPC stocks and fabricates a wide range of rigid plastics for your heavy duty or returnable packaging applications. BPC has developed innovative and proprietary processes for cutting shapes out of corrugated build up block. 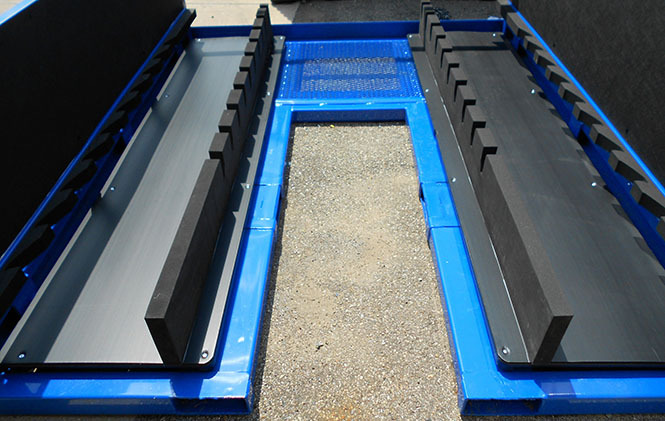 This process creates incredibly robust and rigid dunnage while still being green and cost effective. Great for your expendable or export applications. BPC has become an expert in providing engineered textile solutions for those especially sensitive painted and molded parts requiring class a protection. BPC offers custom corrugated packaging solutions to fit your specific needs. Ideal for higher volume expendable or returnable applications where tooling costs can be offset. BPC offers a wide array of knock down and fixed wall bulk bins. Flexibility in size, color and identification options allow for the right solution for your application. BPC offers a range of standard molded plastic hand totes as well as custom engineered totes out of materials like plastic corrugated, or by cutting and welding existing totes to form a custom size. BPC has the capability to engineer and supply steel shipping and handling racks to hold and protect your parts. Racks are ideal when parts are large, heavy or just not achieving good target densities or protection in standard containers. In addition to being a green option wood can be a durable and cost effective solution for export, and/or heavy duty packaging applications. Whether shipping glass internationally in collapsible wood crates, or engineering a dunnage solution for heavy equipment components, BPC has the expertise and manufacturing capability to deliver the right solution for your application. For technical information on the materials we offer visit our data library by clicking on the Technical Data link located under the Gallery tab. Bookmark us to your favorites for quick reference to technical information. Visit our gallery to get glimpse of some of the engineered packaging solutions we've developed over the years. Please feel free to contact us online or by phone to learn more about anything you see here.